Universal Account Number has been provided to every member who is contributing to the fund. Employers are now enabled to download the list of UAN numbers and give it to their employees. 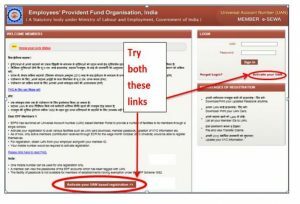 Employer can get the list from the Employer UAN portal. Under this scheme, members will be able to submit the claim online. 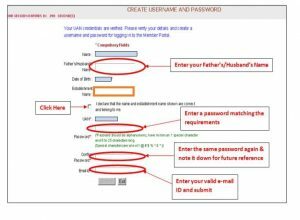 There are few steps that a member will need to follow to activate UAN Number and start transferring the payment online. 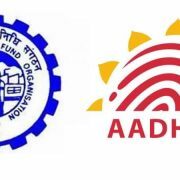 Before starting with the registration process, keep your universal account number and EPF number handy. There will be two tabs one at the bottom of the page ‘Activate You UAN based registration’ and second on the right hand side asking the same. 5. 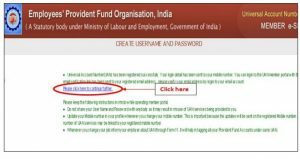 Thereafter the website will take the member to next page where Universal Account Number and EPF number is to be entered. It is a compulsory drill to enter both the credentials. 7. 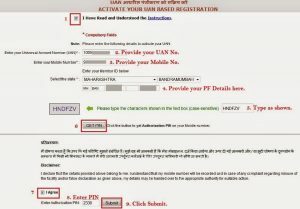 Thereafter, a PIN will be sent on the registered mobile number. Click ‘Submit’ after entering the Pin in the box. 10. Once the member enters all the information asked, he will land on the UAN home page. UAN is issued by the EPFO portal and same is conveyed to the members by the Employer. There are various benefits that UAN member enjoys. All the PF accounts can be linked at one place and there is no need to track different accounts. once, the mobile number is registered, a monthly SMS update will be sent on the number. Therefore this will enable the employee to track if the company is depositing amount in time.